There are several things to consider before buying a water filter pitcher. First, let’s have a look what they are and how they can help you. Fundamentally, with water filter pitchers (jugs in the UK), you fill the pitcher at the top and the water runs down through the filtration system into the body of the pitcher from where it can be poured out as normal. So water filter pitchers are water jugs used for dispensing purified water! The most common types have a replaceable activated charcoal filter at the top, through which the water is run and the filtered water is collected at the bottom of the pitcher. It can then be poured as normal. The activated charcoal adsorbs any contaminants or impurities in the water. This type of charcoal can remove chlorine and many other chemicals and impurities – but not all! Generally, regular water filter pitchers using activated charcoal cannot remove heavy metals such as cadmium, lead or mercury. Nor can they remove fluoride from your drinking water, although it can be achieved some filter pitchers or jugs designed particularly for this. A charcoal filter cannot remove microbes, and cannot make your water softer or more alkaline. So what are the things to consider before buying a water filter pitcher? First, get your water tested. Find out the contaminants in your water that you want to remove to make it drinkable or to use in cooking. Generally, modern water contains no lead – unless you have old lead piping still serving your water supply. There might also be some other heavy metals you would like to remove from the water you drink, use for cooking, or even bathe in. 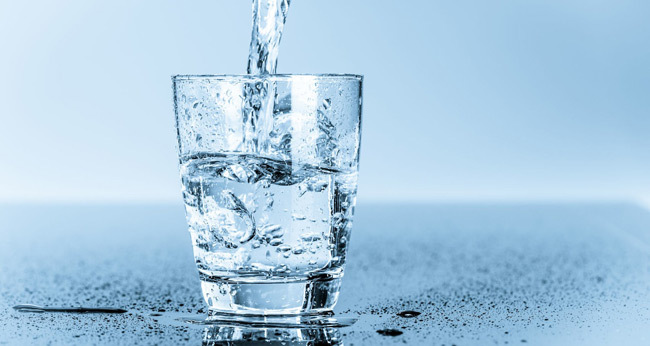 If there are any such contaminants in your water supply, you will likely have to consider an alternative filtration system or even reverse osmosis. There are ways of removing certain contaminants, or at least of reducing their concentration in your drinking water. Not everybody’s water comes from the municipal piped water supply. Some may use spring water or water from another source – a river for example. There are certain things you must think about before buying a water filter pitcher. The following are the most common things that people should do or ask themselves before buying any water filtration system. What do I need to filter out? Are there any heavy metals in my water supply I need to have removed? What is the best type of water filter for my needs: reverse osmosis, charcoal or some other type of filter? Should I get my water tested for contaminants and find out what contaminants have to be removed? That last question may be important. If you do not know how pure, or impure, your water supply is, you will find it difficult to make a decision about the best water filter pitcher for your needs. In addition to that, you must also consider how effective your choice of water filter is at removing the contaminants in your water supply, how easy it is to use and also the cost. How effective is your choice of water filter at removing the contaminants involved? You have a choice of filters in the way they work. Some types of filtration are better than others for removing specific types of contaminants. Not only the contaminants, but also the level of removal of these! Some may filter out a large proportion of contaminants while others might be able to remove practically all of them. There are water filter pitchers that can remove almost all contaminants – or claim to be able to do so! So first, you must understand the nature of the contaminants in your drinking water, and then select the best water filter pitcher to remove these. There is nothing fancy about water filter pitchers. You fill them with tap water, the filter removes contaminants and the filtered water runs into the body of the pitcher. When you pour out the pitcher water, it has already been filtered and should be free of the contamination the filter is designed to remove. They are very simple to use. Fill them up with water from the tap, and then pour out the filtered water. As simple as that! 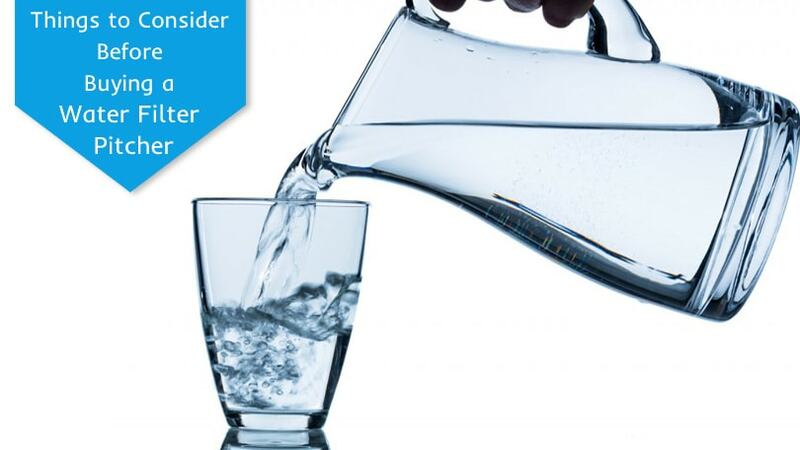 So let’s recap on things to consider before buying a water filter pitcher. Firstly, they are simple to use: simply run in water from the tap, then use the water that filters down to the bulk of the pitcher. They are available in a number of different styles and colors, although they all operate using the same principle. You have a good choice of water filter pitchers, each offering different levels of efficiency with which they filter your drinking water. Some can remove heavy metal salts such as lead, pesticides and some might even remove fluoride if you don’t want fluoride in your drinking water. The filters do not last forever, and you will have to replace them after a while. The replacement frequency depends on the original purity of your water and the range of substances it has to filter out. The filters are not cheap and can be expensive to replace. Some water filter pitchers are not easy to pour from without spillage. Depending on the brand and model you purchase, a water filter jug can remove the chlorine used by water companies to kill off any bacteria present in the water. 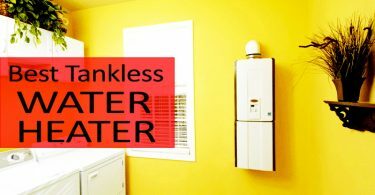 Pay a bit more, and you can purchase a model that removes lead, pesticides and volatile organic compounds (VOCs) that may have led themselves into your household water supply. They may also filter out bacteria, although you should request some evidence other than this statement. Such statements are easy to make, so ask for proof in the form of testing lab certification or some other form of authoritative evidence to back up the claims. As we stated at the beginning, there are several things to consider before buying a water filter pitcher. By taking in the information provided above, and following the advice offered, then you will be able to make a considered decision. Is buying a water filter pitcher a good idea? We think so, but you must make up your own mind. The information above should help you make the right decision. 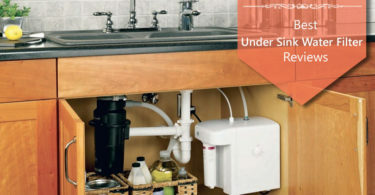 All You Should Know About Water Filter Pitchers. Are They Necessary?